DE Klicke hier, um den Text zu überspringen und zu den Fotos zu gelangen. | EN Click to skip the long text and take the fast track down to Daphne’s portraits. Ursprünglich habe ich diesen Blog während meiner Zeit im Ausland begonnen. Es war ein persönliches Tagebuch, in dem ich meine Reisen mit Fotos dokumentierte, um später einmal darauf zurück zu schauen und mich an all die schönen Momente erinnern zu können. Nie hätte ich gedacht, dass der Blog einmal eine so wichtige Rolle spielen würde. Als der Fokus meiner fotografischen Arbeiten sich zur Hochzeits- und Portraitfotografie hin veränderte, wurde dieser Blog zum Hauptmedium, um meine Lieblingsbilder aus den Fotoshootings Freunden, Bekannten, Kunden und der Welt zu zeigen. Zu diesem Jubiläum wird es höchste Zeit, dass ich mich bei euch bedanke. Danke an die vielen interessanten Menschen, die ich fotografieren durfte! Danke für das Vertrauen, das ihr in mich gesetzt habt, als ihr mich als eure Fotografin ausgewählt habt. Danke für die vielen Fotoshootings, die zu wunderbaren Ergebnissen geführt haben. Vielen Dank an alle Leser. Danke, dass ihr regelmäßig auf meinem Blog vorbeischaut und euch die neuesten fotografischen Arbeiten anschaut. Besonders lieben Dank an alle, die Kommentare verfasst haben. Danke für eure Unterstützung! This is my 100th blog post! – That’s kind of cool. I never really thought I would be doing something like this. Sharing my images with friends, family and… strangers. I began this blog with the intention to look back one day and be able to recall my travel experiences when reading my memories. But it turned out to be a little bit more than that. Starting out as a personal image diary of my travels, this blog quickly became the main medium to share my work. As my passion for photography shifted towards people photography, this blog became the place where I share my favorite images of each photo shoot. …and what has made this process even cooler is the response that I’m getting from my family, friends, and other people. The comments and messages that some of you kindly sent me have made my day. I also love hearing in person that my blog is being enjoyed. It’s so wonderful to hear from some of you that you enjoy my photographs and that you would like me to continue sharing them. So, thank you! Thank you so much for your support, love and kind words. It keeps me motivated and warms my heart. And it plants a HUGE smile on my face. Every time. Many thanks to everybody who I was allowed to photograph. Thank you for all those great and fun photo shoots, during which the images shared at this blog were created. So let’s celebrate and cheers to the next milestone…200! DE Deutsch Diese Woche möchte ich euch einige Portraits von Daphne zeigen. Diese entstanden in einem Fotoshooting, das kürzlich in einem Park in Rekem (Belgien) stattfand. EN English Today I would like to show you Daphne’s portraits, who I had the chance to photograph in Rekem (Belgian) recently. Thanks to Daphne for letting me photograph you, to Sandra van Genugten for the Make-up and to Sjaak for organising the location and access permissions. DE Deutsch Heute möchte ich euch Portraits von Nora zeigen, die ich am vergangenen Samstag in Rekem bei Lanaken (Belgien) fotografieren durfte. Neben den üblichen Portraits im Baum, die ihr von mir bereits gewohnt seid, gibt es heute Fotos aus dem „Belgischen Dschungel“. Zu unserer Überraschung fanden wir eine kleine Halbinsel, auf der Bambus mehrere Meter hoch wuchs (siehe Bild 55173). Wir kamen uns vor wie im Dschungel und hätten mit solchen Pflanzen in Belgien nicht gerechnet. Zum Abschluss des Blog-Posts habe ich heute noch ein kleines Special für euch. Nora hat mir erlaubt, „vorher–nachher-Fotos“ zu zeigen. Daran könnt ihr sehen, was sich in einem professionellen Fotoshooting erreichen lässt. Habt ihr Lust bekommen? Dann kontaktiert mich, um Informationen für euer eigenes Shooting zu erhalten. EN English Today I would like to show you some portraits of Nora, who I had the chance to photograph in a small village called Rekem in Belgium past Saturday. Beside my usual portraits among trees, we discovered something unusual. To our big surprise, we found a peninsula covered with high bamboo plants. We seemed to be in some kind of jungle, an environment we hadn’t expected to find in Belgium. Enjoy looking at the portraits. Many thanks to Nora for letting me photograph you, to Sandra van Genugten for the Make-up and to Sjaak for organising the location and the necessary access permissions. Below you will find something special. 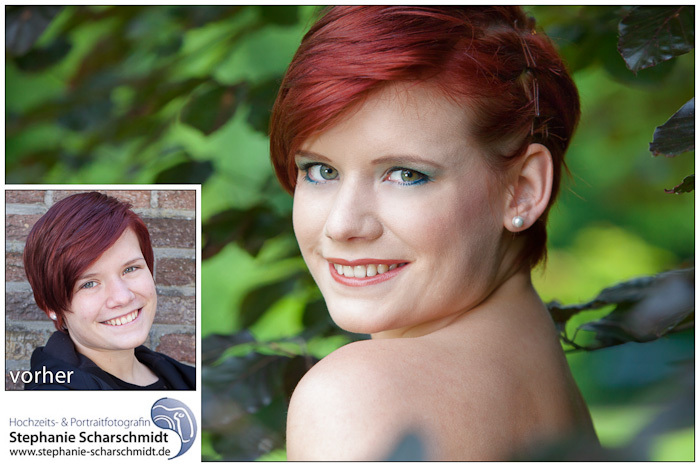 Thank you so much, Nora, for allowing me to show your before-and-after photographs. These give you a better idea about what can be achieved during a professional photo shoot. As you can see, Nora is just like you. 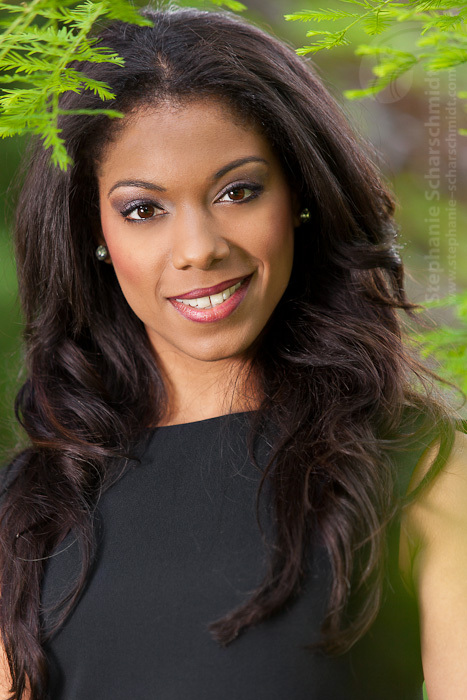 Contact me to receive more information about how your photo shoot might look like. 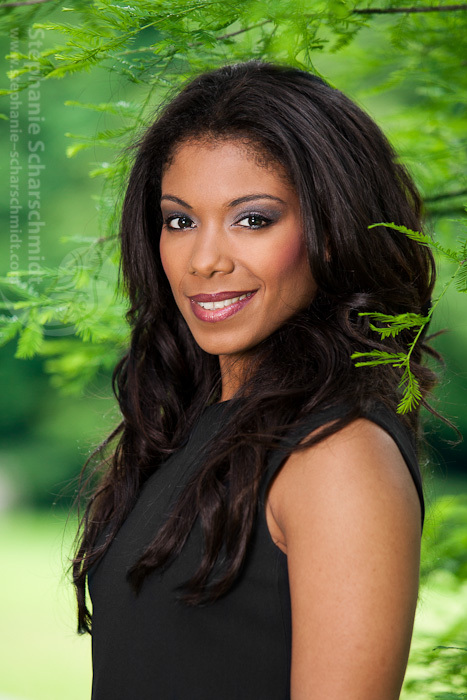 https://www.stephanie-scharschmidt.de/blog/wp-content/uploads/2012/06/image-55268-b_blog_Stephanie-Scharschmidt.jpg 467 700 admin https://www.stephanie-scharschmidt.de/blog/wp-content/uploads/2018/12/Logo-mit-URL-etwas-größer-300x103.png admin2012-06-29 15:48:322017-10-25 08:17:28Nora im "belgischen Dschungel"